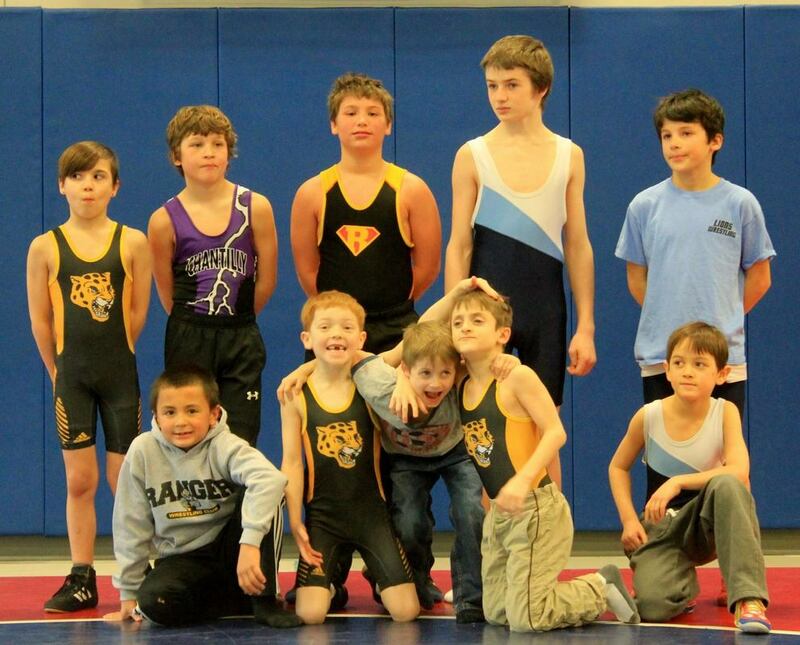 RAPID WRESTLING PLUS is an innovative format for youth wrestling that is fun, educational, and fast-paced. In Rapid Wrestling, participants compete in various situations and contests. Some of these are fun, while others are common positions wrestlers find themselves in. Wrestlers earn points and will become the "Rapid Wrestling Champion" if they score the most points in their bracket. Contests are short and move quickly. The "PLUS" in the name means that in addition to Rapid Wrestling, participants get to wrestle at least one traditional match. On January 26, wrestlers compete in at least one traditional match plus a fast-paced round of Rapid Wrestling. If there is extra time in the round, they will also get to wrestle live against others in their group. 1. Attack Bandz. This contest helps wrestlers to stay low in the neutral position while improving body awareness. Wrestlers who attack low, create scrambles, and are constantly thinking about body awareness will do well. Wrestlers can prepare for this contest by playing "shoelace tag" in practice. 2. BFF Sumo. This will be a traditional sumo match where a wrestler loses by being pushed out of the circle or having a body part (besides feet) touch the mat. In addition to the obvious benefits of sumo, we start the wrestlers chest-to-chest in an over/under position to test upper body wrestling skills. 3. Front Head Hype. Each wrestler has the chance to start in a front headlock position (locking hands or grabbing chin is acceptable). This is a very common position in wrestling, and competitors need techniques to score (and to defend when underneath). 4. Attack Bandz Scramble! The Attack ankle bands return for this contest, except this time the wrestlers will start on the mat, each with a head outside single. That's when the action and fun begins. Body awareness, ability to finish shots, etc. all come into play. 5. Escape from Alcatraz. Like last year, we simulate the end of a match where each wrestler must escape (or ride) in just a short period of time (15 seconds). This time, we start in a sitting crab ride position. Our first Rapid Wrestling tournament was held in early 2015--here are the champions. Do you recognize anybody? !